Life has a way of nudging us toward healing in mysterious ways. Three years ago, I proposed the idea of the Turn It Around Project to our Fertile Heart Community, marking November 9 as the Day of Compassion. My intention was to encourage myself and others to channel the lingering grief linked to 9/11 into a force for good. At the time, I didn’t realize that November 9 was also the date of the Night of the Broken Glass, when synagogues were burned, and beatings, looting and attacks against Jews had taken place throughout Nazi Germany and parts of Austria. The night, known as Kristallnacht, was the beginning of Hitler’s Final Solution and the beginning of the end for so many members of my immediate family. Sadly, the evil that abducted their lives is still at large. It is the same universal impulse toward cruelty that continues to seed acts of violence in seemingly every corner of the earth. I thought this would also be a good time to launch a separate FertileHeartedHuman facebook outreach page devoted to our peace related projects. My day job has to do with supporting women and men on their pilgrimages toward parenthood. It makes little sense to do that work without attempting to co-create a more child-friendly earth-home for these babies to beam down to. I’d love to hear your thoughts on the small and large Turn It Around Projects in your life. If you had to choose one thing that calls to be “turned around,” in your life, what would be? As always, the comments section of this blog post or the new FertileHeartedHuman facebook page are an easy way for us to say hello to each other. With love and good wishes for a meaningful International Day of Compassion! As I watched this video twice last night, I realized that my orphans had trouble really absorbing the horror of the truth. How could those three adorable children have gone through so much? It seems so surreal. I admire Julia’s courage in facing and honoring that truth. It also raised the question of how to portray and honor our long journey to our child to our child as she grows up. I guess what I have been working so hard to turn around in our family line is the tendency to hurt ourselves, whether through lack of self-compassion or through our immune systems. I hope to be able to help my daughter with this task while she is young, instead of her having to do it later in life, possibly on her own. Thank you for posting such a touching video. I am deeply moved by your compassion and grace as you acknowledge and honor Robika and feel inspired to elbow my way forward with love from the Ultimate Mom. This video has reminded me about the power of words and intentions, “I am one of three”. Thank you for creating this community. Thank you Julia. You teach in every thing you do. Your approach toward life, toward healing, toward compassion are each inspiring in their own way. I’m finding acts of compassion whether towards myself or others are truly the key in healing my pain, my family’s pain, and the pain of those around me. Learning your practice has not only helped me on my personal journey, but also in how I approach my friends, my family, my coworkers, my students, their parents, etc. Thank you for that. I agree that 365 days of compassion sounds wonderful and is also very needed. Thank you for encouraging us to each be agents of compassion in everything we do. Meeting our child halfway, reaching out our hands, calling “Come,” is how you guide us though our healing, birthing pilgrimages, dear Julia. And to hear you utter “Come” to Robika, rings of your mission to turn it around: bringing Robika back across the bridge, bathing him in the light of compassion and love that heals him — heals you — heals your family — and heals all men and women you reach. Thank you deeply. I am moved to turn around my worries and my anxieties, and to wholly give thanks for what is in my life. And I give thanks for being able to move toward my child with the tools you so lovingly share with us; I am thankful for this blessed journey. And I am thankful for being a part of all of the rich, fertile hearts who share and work together. And I am thankful for learning to open my heart to all we can (and must) do to create 365 days of compassion a year. Anna, 365 days of compassion…boy that sounds really good to me! Thank you for this! Julia- I watched this video and could not gather the words to express how beautiful and moving it was. It has stayed with me and as I look around at the little faces in my classroom my heart just ached for your loss. I just wept at that picture of you and your sister intermeshed with your brother’s picture. It reminded me to treasure and honor those family relationships. Thank you for sharing this video and your journey with all of us. I appreciate this VERY MUCH, Heather, thank you! Julia, I watched this video last night, but was not able to post a reply until today since I was crying so hard after watching it that I was not able to compose sentences. I grew up with an acute awareness of the atrocities of the Holocaust from watching movies in school, hearing survivors tell their stories, and knowing that my beloved grandfather was the sole survivor of his immediate family–his parents and 3 sisters were all murdered by the Nazis. However, when I watched your film I realized that you introduced a new vision of that I had never thought about before. When you spoke about the day before your brother was taken, it hit me so strong. Your intent to go back and try to save him was something I never thought about visualizing. That attempt to go back and save him is so brave and so powerful, and so different than mourning the loss afterwards. I wished so hard that we could all just go back and save the 6 million whose lives were taken–but I never thought about actually trying. Your effort to keep him alive by saying you are the youngest of three also truly touched my heart. May he live on through you, as I hope in some way, my family is able to live on through me. And your message about Turn it Around…I have actually found that very powerfully this past month. As I have been struggling with infertility I have searched for people, methods, drugs etc to “help me”. I needed to be the receiver of assistance, cures, and support. But through your work something changed in me. This month when a friend of mine confided in my that she had been raped, I was able to use my pain and my healing growth to be there for her and give to her in a stronger way that I feel I would have been able to before this work. I was able to turn things around from being the receiver to the giver. Thank you so much. Thank you so much, Luisa, Rachel, Tracy, Summer, Kay, Amee, for these healing beautiful thoughtful comments! Your support means a great deal as I attempt to birth a braver activist leader of our wonderful community! Tracy and Luisa I’m grateful that you’re keeping touch! Tracy can’t wait to see pix’s of this little boy! Luisa, I’m so happy for you! And I’m very much looking forward to cheering you on Summer and Rachel and Kay and Amee as you continue healing and get closer to the lovely children on the way! Thank you for being an inspiration to all of us in how to live with Grace. Through your workshops, books and phone circle you suggest a more human way to deal with our wounds and let go of hatred and pain. And I am always learning from you including the way you carry yourself through life as this this beautiful video about your little-big brother can attest. At a time of immense sadness and pain for being unable to conceive for many years you showed me that I needed to open up my heart to healing and I had the power to do it all by myself. It is a work in progress but I touched some very soft spot somewhere and something in me started changing little by little. And Jimmy was born 10 months ago and keeps showering us with joy and grace. I want to make this earth a more loving place and I am starting with myself and my immediate family- there is a lot of healing to do. Thank you for showing us the beauty in your heart! I am so sorry, Julia, about your brother who will always be eight. Many people pass away at different ages but none so cruelly as at the hands of those who hate. I am certainly aware of people suffering at the hands of hate and that it is still with us. Not only hearing the news of disturbed individuals and their cruelty, but organized, systematic cruelty as well. People of my religion are not allowed a college education in the land of this faith’s birth and those who would teach youth on their own are being imprisoned. We are believing that we need to teach children to love and honor others and I teach one of these classes. In my own family it is not only a day of compassion but a future of compassion trying to help my daughter heal, turn around, or at least manage emotional challenges. One of the components for us it to love and consciously show love in a way by daughter can benefit from. I believe that hatred and cruelty come from a place of emotional disturbance or inadequate love, particularly in early years, or both. I am so grateful to you, Julia, that you offer a way for anyone to mother (or parent) themselves in a loving way so the emotions we all feel don’t end up in hatred and senseless violence. Thanks Julia. This is a beautiful tribute to your brother and to all the children who didn’t have the chance to grow up because of violence due to hatred. I wish every day was a day of compassion towards others and ourselves. Wow. So moving. I love how you claim your brother. It was through the fertile heart work that I finally identified myself as adopted. I had been so ashamed of being “different” that I wouldn’t even share with my closest friends. I was always afraid of the questions that would folllow if i mentioned it. Now I am not ashamed, it is a beautiful part of the fabric of my life and I am proud that it is part of me. Thank you for always challenging us to go deeper within and to birth a child friendly earth. Your moving and artful expression of your personal heritage with the horrors of mankind’s violence brought tears to my eyes. Tears I don’t shed easily. I am grateful for my challenges with infertility as this reality has brought a beautiful, wise, and exceptional fertile heart and teacher into my life, YOU. . Thank-you for being so brave and honoring your passion to do more than help women become mothers. I have learned and continue to learn so much from you and OVUM. How easily we can step forward day by day and forget the past. How easily we can ignore the sacrifices our mothers, fathers, brothers and sisters before us have made against their wills at the hands of violence. Yes, we must remember, we must listen to their once beating hearts, we must each find a way to heal the living and end the terrors. Let not their sacrifices be in vain. I stand with you, Julia. Thank you Julia, it’s beautiful and so terribly moving. I will join your Day of Compassion from the UK and think of you, your brother and mother, sister and father, family and all those who are and have been affected by cruelty and violence in its myriad forms across our world. And I’ll reflect on my own capacity for cruelty. Hi Julia- I took part in your intensive phone workshop “Meeting Your Child Halfway” series last year. The intensive workshop helped me to start the process of healing myself from the pain of so many years of secondary infertility and loss. In addition I have read your books. 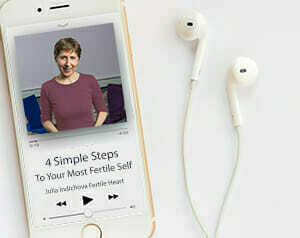 Through your wisdom, I have realized that the burden of infertility and subsequently becoming very ill with food intolerances, has really been a gift. So many blessings have come from these negative experiences. Through the tremendous feeling of loss of a “perfect” life, I have gained a tremendous feeling of empathy and hope for a better future, for my wonderful son and all of the world’s children. In truth, I fear the thought of having another child, one that I have wanted so badly for so many years. I often ask myself “why would I want to bring another child into a world where there is constant news of violence.” As I read your article, and watched the video you posted, I felt such a heaviness in my heart. Some thing needs to change in our society…Violence and hatred that takes the lives of our most precious members of society needs to stop. My heart will only heal once change in these areas occurs. I am with you on this mission to birth a “child friendly earth”!